Numero Uno Web Solutions (NumeroUnoWeb.com), a fast-growing internet marketing firm that caters to medium and large-size B2B and B2C companies, reacts to record retail sales data in Canada and explains what brands with an online presence need to do to increase ecommerce sales. Online marketing should be an important part of every Canadian business. That’s because the Internet creates a level playing field for every merchant. Search engines like Google and Yahoo! do not rank merchants based on revenue; rankings are based on algorithms. As a result, the Internet gives brands of every size access to potential customers that might otherwise have been inaccessible. Numero Uno Web Solutions, is one of the top internet marketing firms due to constant innovation and overall customer satisfaction. 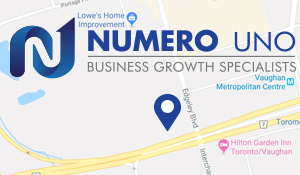 For more information on Numero Uno Web Solutions, and to discover how the company can help maximize search engine optimization and online presence, visit https://numerounoweb.com, or call Numero Uno Web Solutions toll free at 1-855-SEO-XPRT (1-855-736-9778).